Jennifer Anders was appointed to the Council in January 2013 by Governor Steve Bullock. Ms. Anders worked closely with Governor Bullock during his 2009-2012 tenure as Montana’s Attorney General, tackling a number of high profile issues including energy development, water quality, climate change, public land management, and interstate water compact allocations. She has spent her entire professional career in public service, working for four separate Attorneys General in both the civil and criminal arena. Ms. Anders has a law degree from the University of Montana and an undergraduate degree from the University of California, Santa Barbara. She is an avid skier and dedicated practitioner of hapkido, tai chi and qigong. Richard Devlin brings a broad diversity of experience to the Council and a lifelong interest in conservation and evidence-based public policy. He has served 31 years as an elected official, first at the local and regional level, where he focused on open space and habitat conservation, land use planning, and transportation. Elected to the Senate in 2002, he was appointed to the Joint Ways and Means Committee and chaired subcommittees on education and natural resources. From 2007 to 2010 he was the Majority Leader of the Senate. He then was appointed Co-Chair of Ways and Means, a position he held until his appointment to the Council in January 2018. He graduated from Portland State University with a Bachelor of Science Degree in Administration of Justice and Pepperdine University with a Master of Arts in Management. His occupational background is in adult and juvenile corrections, civil and criminal investigations and he served in the United States Marine Corps. Ted Ferrioli comes to the Council in January 2018 having served in the Oregon State Senate for 20 years. During his tenure in the Senate, he served as Senate President Pro Tem, Senate Republican Caucus Leader, and was a long-serving member of the Legislative Committee on Indian Services. He served as co-chair of the Joint House and Senate Committee on Stream Restoration and Species Recovery, which helped author the Oregon Plan for Salmon and Steelhead Recovery. Council Member Ferrioli has worked for several forestry non-profit associations, including the Willamette Forestry Council, the Oregon Logger Training Association and the Malheur Timber Operators. He is keenly interested in the issues of Native American Treaty Rights, aquatic and terrestrial species recovery, stream and habitat restoration and carbon reduction through the careful planning for energy efficiency and renewable resources. Mr. Ferrioli resides in John Day with Mary, his wife of 46 years. He has two children and four grandchildren, all proud Oregonians. 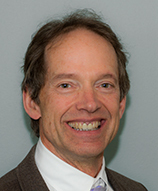 Guy Norman was appointed to the Council by Washington Governor Jay Inslee in September, 2016. His term expires January 2020. He has worked with the fish and wildlife resources of the Columbia River basin since 1977. He retired in 2016 after 33 years with the Washington Department of Fish and Wildlife (WDFW) where he had been the Southwest Washington Regional Director since 2004. Guy also spent three years with the Oregon Department of Fish and Wildlife (ODFW) as the Interjurisdictional Fisheries Director during 1999-2002 and was a private consultant for two years working on Columbia basin fish recovery projects before returning to WDFW in 2004. For over 20 years he represented either WDFW or ODFW on the U.S. v. Oregon Policy Committee and the Columbia River (fishery) Compact. He has also been a state representative in domestic and international fisheries forums, including the Pacific Fisheries Management Council, the Pacific Salmon Treaty, and the North Pacific Anadromous Fishery Council. Guy has also been a state participant in several NOAA ESA forums, including the FCRPS BiOp Regional Implementation Oversight Group. He has a B.S. in Environmental Science Technology from Oregon Institute of Technology. For the last four years Tim Baker has served Montana Governor Steve Bullock as his Natural Resource Policy Advisor. In that capacity he has worked on issues ranging from energy development and water use, to wildlife, state lands, and mining. Tim was born in Detroit, Michigan. After graduating from the University of Michigan, he moved west to attend law school at the University of Montana. He worked for the Montana Public Service Commission as a staff attorney and Chief Counsel, and then with the Montana Department of Environmental Quality, where he focused on air quality. After leaving state government he was Executive Director of the Montana Wilderness Association, and was working for Montana Trout Unlimited when Governor Bullock asked him to return to public service. 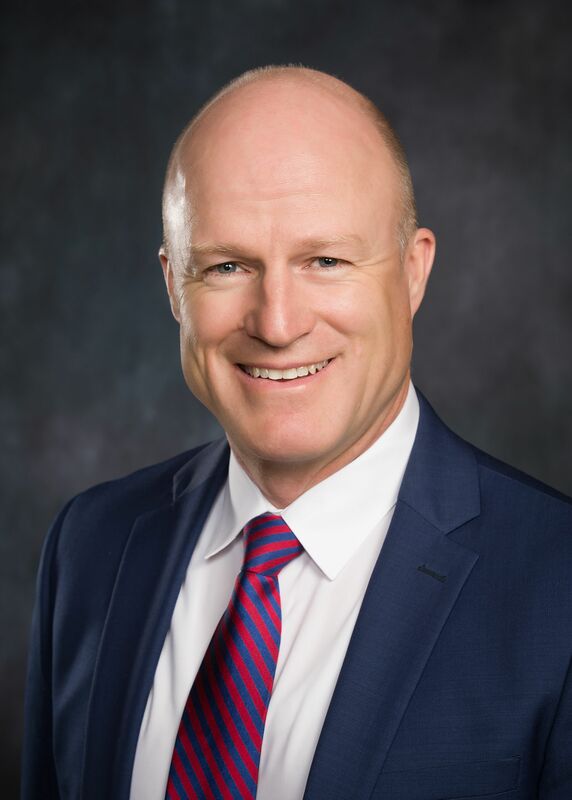 Jeffery C. Allen was appointed to the Council in March 2019 by Idaho Governor Brad Little. Prior to his appointment, Mr. Allen directed the Idaho office of the Council for 10 years, where he established and continues to maintain relationships with the people and organizations in Idaho that deal with issues the Council addresses in its planning activities, including protecting and enhancing salmon, steelhead, and resident fish affected by hydropower dams, water allocation, and ensuring the Northwest has a reliable and affordable electric power system. Before managing the Council’s Idaho office Mr. Allen worked for the Governor’s Office of Species Conservation, where he advised Idaho’s effort to coordinate all state policies relating to the Endangered Species Act and led Idaho’s efforts to delist the wolf and establish a compensation fund to pay for livestock lost to wolves. Earlier, Mr. Allen served as the State Director of Natural Resources for U.S. Senator Mike Crapo. Mr. Allen holds a Bachelor’s in International Relations from Brigham Young University. He lives in Star with his wife, Annette, and four children. Born in Rupert, Idaho and raised in the Magic Valley of Southern Idaho where he learned and applied knowledge of water, agriculture and natural resources. 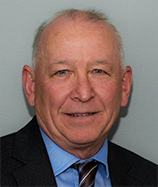 Jim graduated from the College of Southern Idaho in 1968 with an Associate of Arts Degree and then Boise State in 1971 with a Bachelor of Arts degree in education. Elected in 1972 to the Idaho State Senate at age 24, the youngest Idaho Senator/Legislator ever elected and served two terms. Owned and operated a dairy distributorship for a number of years in Wendell, Idaho and worked for the Union Pacific Railroad for 10 years. In 1988 he was named Assistant Public Affairs Director for the Idaho Farm Bureau and in 1991 was promoted to Public Affairs Director. In 1995 he worked for a time for the Northwest Power and Planning Council. Governor Batt appointed Jim as his Natural Resources Senior Policy Advisor. He was retained by Governor Kempthorne from 1999-2006. He was retained by Governor Risch for his term. In 2007 Governor Otter retained Jim until the appointment to the Council in October. His term expires January 2021.